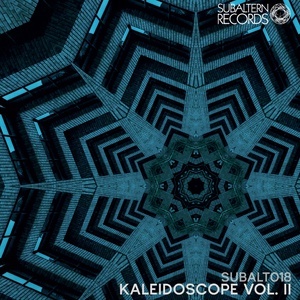 Kaleidoscope Vol.2 features two new roster additions for Subaltern Records (Dalek One and Phossa) alongside label residents Clearlight and Bisweed. American talent Dalek One offers "Frequency Shock", which exhibits ecstatic bass and synth lines which get everything right in all the right places. Psychedelic wizard Clearlight pitches in "Stuck Inside," luring the listener into a seductive maze of towering resonating frequencies. UK-based Phossa makes his first mark on the Subaltern roster with an intricate piece of sub science, "Vacant". Everyone's favorite Estonian, Bisweed, offers "Profound", a track oozing with his trademark confidence in composition and sound design.